Here we have community. Here we worship. Here we serve. Here we grow. Here we see God at work. Here we feel Jesus’ love. Here we taste the Spirit’s power. Here there is grace abounding. And also there, “there” being every place that is not here. 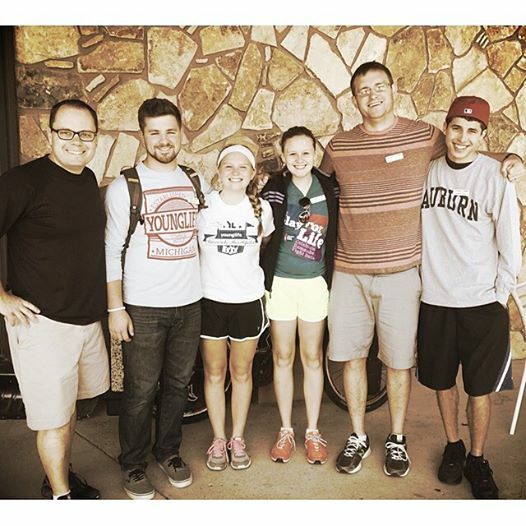 Camp does not have exclusive rights to community, worship, and growth. Camp does not have a corner on God’s work, Jesus’ love, and the Spirit’s power. Camp does not serve as the sole epicenter of the Divine Presence. Rather, camp brings those things into sharp relief. 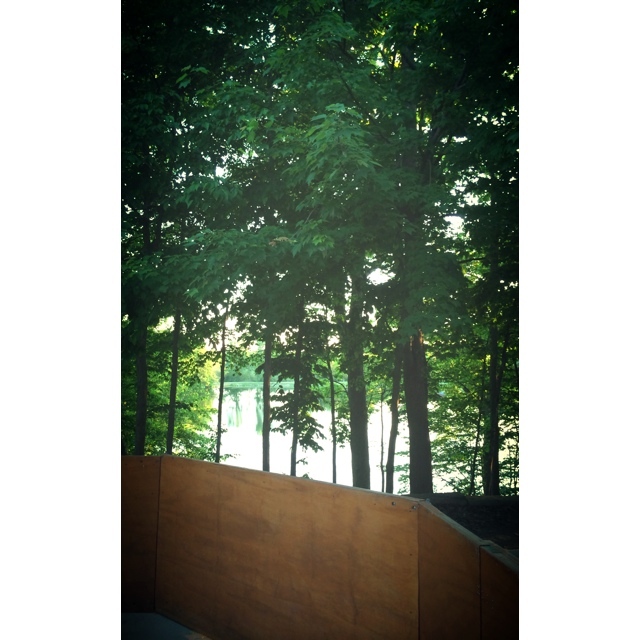 Camp focuses our attention on what is always present. Camp directs our heart and mind to things of eternal reality. Camp unleashes the joy that we oft reject. Camp spills over with reminders of the ever-here ever-true God. For that, we are grateful and blessed. But if we do not take home with us the focused attention, eternal perspective, overflowing joy, and knowledge of the ever-here ever-true God, then we will have lost what cannot be measured. We will be less faithful followers of Jesus than the trees of the field and forest. Dear Lord: let us clap for joy and rustle for praise, today and always, here and everywhere. 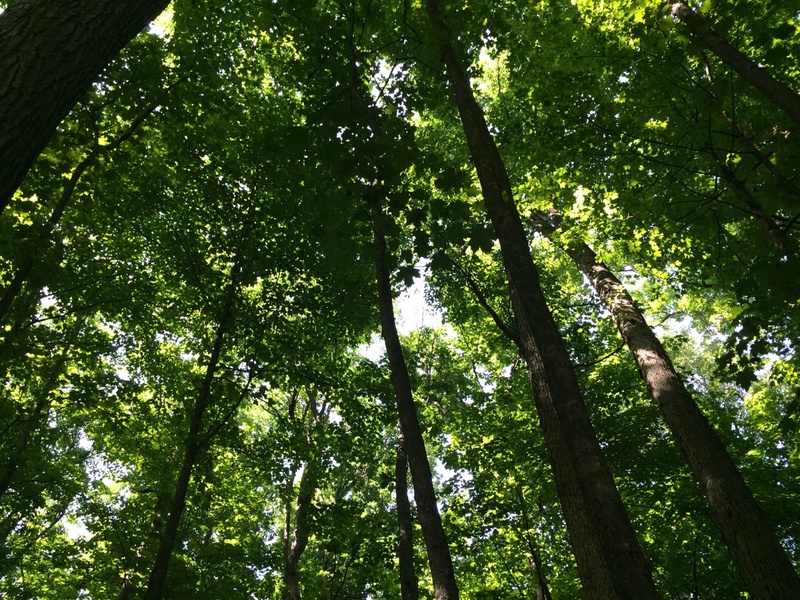 Let us be more fully alive than trees of the field and forest. Let us live, in every way and place and moment, as your beloved children. Day 5 it is. Day last. 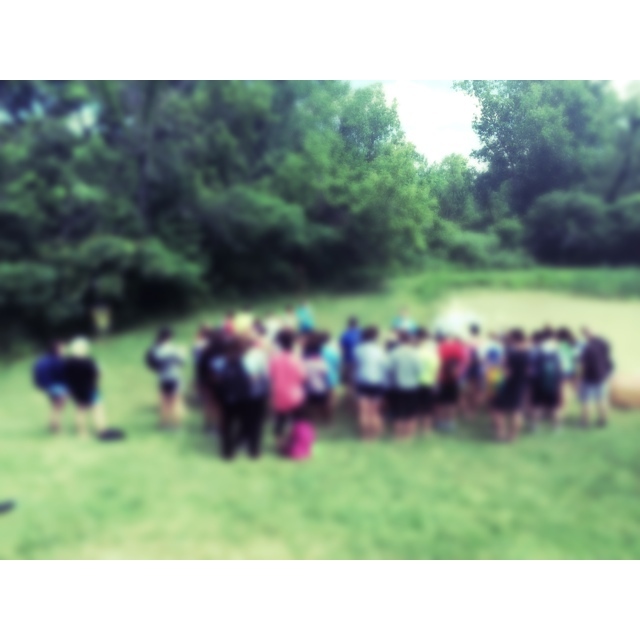 The day 350+ middle schoolers clamber onto busses and pile into vans to head homeward, away from a place that (dear God, this is our prayer) has breathed love, peace, joy, and ridiculous amounts of fun, minute by minute, hour by hour, day in and day out. It is always hard to say goodbye. Five days, you see, is long enough to connect, to care, to know, and to love. If we – who have spent such a short amount of time with them – can feel this way, how must the people in their daily lives feel about them? More importantly, how must the Creator of the Universe, the Almighty God, the Loving Father feel? That is the real question, isn’t it? What does God Almighty think of humanity? Think of that guy? Think of that girl? Think of them? Think of me?? Regardless of how advanced our theories are, how far our science has progressed, how instantaneously our technology connects, there are things we cannot know about God. Because he is God. Almighty. Omnipotent. Majestic. God Almighty, the Omnipotent Creator, the Majestic Lord…LOVES. Period. Loves unto his own incarnated death. Loves beyond his own divine resurrection. Loves through times of pain. Loves in places of brokenness. …breathtaking. Simply and utterly and totally breathtaking. Period. Which means he loves enough to rescue, to save, to offer real life, and to make all things new. And he does, indeed, make things new for those who choose to follow him, even the lives of middle-schoolers. Especially the lives of middle-schoolers. BUT – and this is so very important – his love is not restricted to only those who love him in return. His love is not limited to only those who call him Father. His love is not poured out on only those who seek his face. His love is for all, those who want to be made new and those who do not. Those who confess him as Lord, and those who do not. Those who follow him closely, and those who do not. Indeed, he patiently, longingly, faithfully, and passionately waits for all, seeks all, and pursues all. Period. We can only marvel: what wondrous love is this, oh my soul, oh my soul? 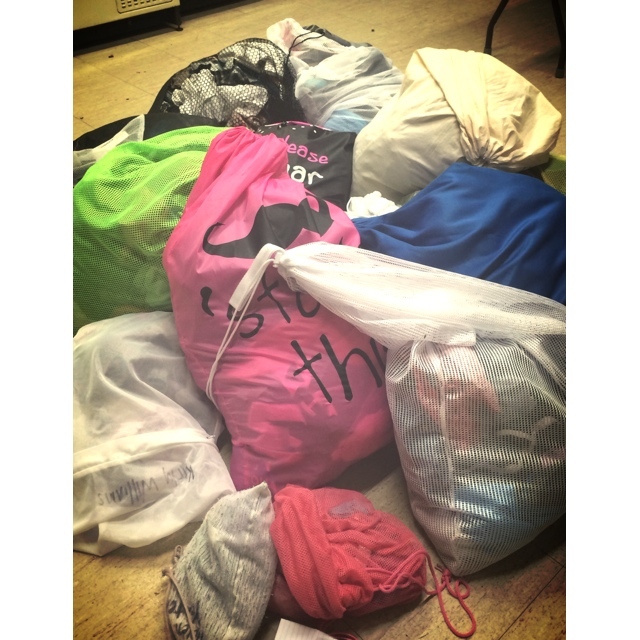 …things appropriately stuffed into bags – whites mixed with brights mixed with darks, socks mixed with jeans mixed with tees, sweat mixed with muck mixed with food. Laundry is a beautiful jumbled mess of dirt just waiting to be washed and worn again, no matter how dingy and stained it may be (dinginess and stains being the entire point of laundry in the first place). There is only one requirement here: turn the clothes right side out, please. It cuts the folding time in half. For the most part, this small request is honored. Pre-folded grime. Neatly piled and packaged dirt. Laundry that looks to be already washed and ready to wear. The fact that a teenager takes the time to neatly fold and politely package his laundry is endearingly delightful. But I fear that far too often this is just what I do with myself. I gather the grimy stained pieces of my life that accumulate throughout any given day, turn them right side out, fold them, stack them, and package them neatly before handing them over – either grudgingly (“Really, they’re not that dirty. I could live in them for at least another day or week or month”) or flippantly (“Laundry. Whatever.”) or shamefacedly (“Oh. Hmm. Well, yes, okay. But, um, no need to look closely before washing them, and please keep in mind that most of those stains are beyond my control”) or angrily (“If you’d just limit the dirt around me – which you could do if you wanted…”). 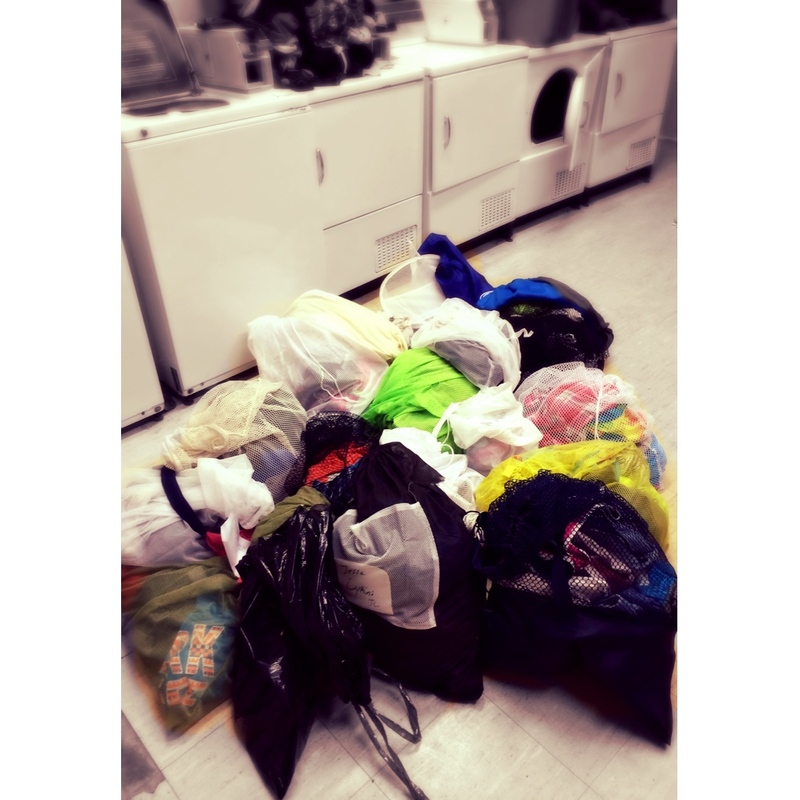 Were that large mountain of right-side-out laundry my life, it would be better left inside out when handing it over for sanctification since sanctification is a from-the-inside-out process, starting in the heart, soul, and mind. Besides, God does not need to cut down on his folding time. Were that neatly folded small pile of laundry my life, it would be better left as a muddled mess since muddled messes are more likely to desire and appreciate being cleansed and changed. Besides, God is not impressed by my attempts at self-improvement. That I can – and must – humbly fall as I am at the feet of Jesus each and every day is not easy in a world that encourages self-made (and remade, and remade again) identities. But I can make no such thing, let alone remake it. What joy it is, then, to know the Maker of all things and the reMaker of all who would be remade. On the direct ministry front, we are today halfway through our camp assignment. That is, there is at least as much work still to do as has already been done. Perhaps more. I love camp. We all love camp. And middle-schoolers – oh how we do love them. There is no lack of love here for either the setting or the subjects. Still, there is a hint of weariness. Camp life is exhausting. In every way. So it would seem logical to rally our collective selves by calling out for more energy! more joy! more enthusiasm! more love! And while all of those things are good, I think there is one thing only that will carry us from this midpoint to the finish line: humility. Active humility. The kind of humility that Jesus displayed when he washed his disciples’ feet. That he was the one to do the washing – to stoop, to pour, to rinse, to dry – should change how we live. In every way. As a human being, he was clearly the only one there who had a right to expect and demand that someone else be the foot washer. He was the leader. The rabbi. The teacher. And there is also this: “The Father had given him authority over everything” (John 13:3). As God incarnate, he was obviously the only one there who had a right to expect and demand that someone else be the foot washer. He had come from God. He would return to God. He was with God. He was God. What else does a fully man/fully God guy need to do to get his feet washed? And let’s not forget that on a previous occasion, he had turned foot-washing water into superb wine. That a water-into-wine man should also be a water-onto-feet God speaks volumes about the one true Lord Almighty. Jesus’ humility is overwhelming. And it is one of the final lessons he leaves with his disciples: no one is too good to be the foot-washer. When Jesus washed those dusty, dirty, calloused, worn, smelly, stinky feet, he was demonstrating the epitome of humble obedience and obedient humility. The disciples may not have disobeyed outright when they – not a single one of them – did not offer to wash the others’ feet. But not disobeying is not necessarily the same thing as obeying. Washing someone else’s feet (metaphorically) is not the stuff of headlines. It is not the stuff of blogs or ‘grams or tweets. It’s not even the stuff of the Synoptic Gospels. Only John – many, many years after the fact – recognized the significance of what had taken place and recorded it so that we might learn. Here, at the midpoint of camp – and really every other day of life – there is only one thing that will position us to live well: the humility of Christ. 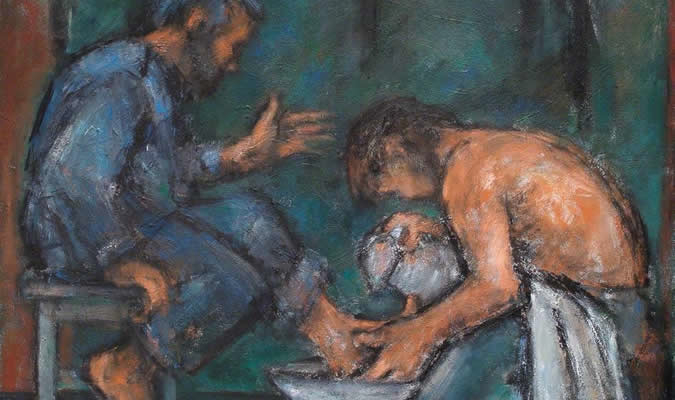 And not just the humility that willingly washes the feet (metaphorically) of campers (or parishioners or employees or subordinates or whatever) but rather the humility that willingly washes the feet of our fellow workers. For here is a difficult truth: It is easy to serve campers. It is much harder to serve those who serve alongside us. If we cannot foot-wash with and among and towards our fellow workers with a genuinely humble heart, we will not be able to foot-wash with and among and towards anyone else. Ever. And if we do not know our true identity (infinitely loved and undeservedly redeemed child of God), if we have not grasped our clear purpose (to be salt, light, and the sweet fragrance of Christ), and if we do not have an eternal perspective (I will work not just for the here-and-now but for all that lies beyond my final breath on earth), we will never be able to get up from the table, wrap a towel around our waist, pour water into a basin, and begin to wash all the feet that need washing. This is the Jesus we follow. This is the example he set. This is the task we have. Lord, grant us the grace we so desperately need in order to live as we should. It is a new week at camp. In one hour, 370 new campers and leaders will arrive for the collective explosion known as Day One. And we – who have been here for a while – must live and serve with both a second-Day-One-of-camp maturity (because hopefully we have learned some things) and also with a first-Day-One-of-camp excitement (because 370 people deserve no less). That balance is not easy to strike, whether at camp or home. It requires a willing embrace of a disciplined life, which leads to deep roots of faith, which leads to fruitful living. We don’t so much love disciplined living. We are a culture that adores first-Day-One highs. We are a people that celebrates first-Day-One emotions. We are a church that chases after first-Day-One moments. Day One is a beautiful thing. But if Day One does not lead to deeper wisdom, wider love, and stronger faith, then Day One has been lived in vain. The miracle of following Jesus is that the pursuit of deeper wisdom, wider love, and stronger faith does not require an abandonment of Day One joys, celebrations, and thanks. Just the opposite. Digging deeper and deeper allows us to follow farther and farther. Being anchored more firmly frees us to follow more expansively. Giving up my life of self allows me to gain true life in Christ. These are crazy, wondrous, incomprehensible, and yet wholly believable truths. So we race towards this second-Day-One extravaganza with a first-Day-One joy. And we do this because (oh, glory!) that is what Jesus has graciously invited us to do. It is laundry day at camp, a day during which the dirty clothes of the entire work staff will be washed clean. There are four sets of washers and dryers on the property. Three of the four work. 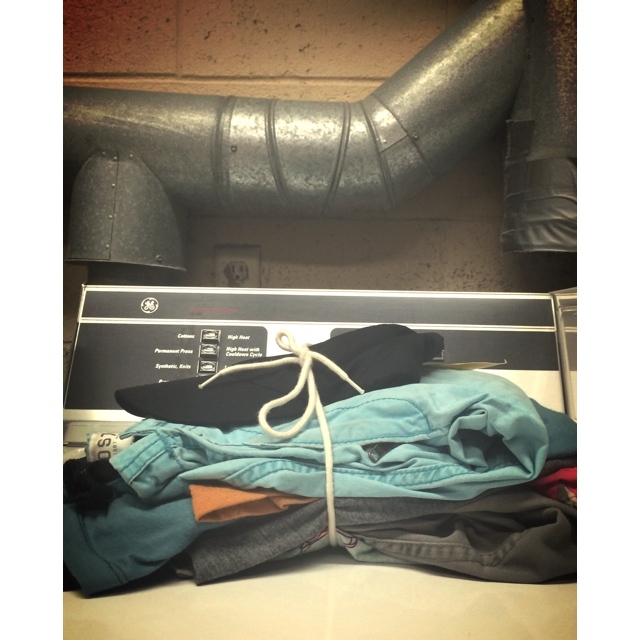 The dryers take approximately 1.5 hours to fully dry a medium-sized load. There are eight hours until dinner. It’s going to be a race against time. And dirt. There is a lot of laundry smashed into the bags of this hill. (I lift my eyes to hill – where does my help come from? My help comes from the detergent.) The mesh bags hold the dirt in – even hide it to some extent. But the dirt is indeed in there, even if it is not easily seen. That’s the nature of clothing. Wear it and and it will need to be washed. Period. I will wash these clothes today. And then I will wash them again next week, and the week after that, and the week after that … much like God washes me over and over and over again. Yes, we were cleansed once and forever, 2000 years ago at the cross of Calvary. But the old self is indeed still resident in the soul, even if it is not easily seen. That’s the nature of life. Live it and it will need to be washed. Period. What miracle is this that the God who graciously and undeservedly cleansed me to my very core (cleansed me fully, at the cost of his own wholly pure life) should faithfully and patiently continue the cleansing, day in and day out, until the day I breathe my last and finally stand in his presence? It is a miracle beyond comprehension. It is a miracle playing out before my very eyes. This laundry. My sanctification. Indeed. In 3 hours (180 minutes / 10,800 seconds) masses of middle-schoolers will descend upon this place. And what a magnificent descent it will be. Loud. Energetic. Excited. Boisterous. Caffeinated. Frenetic, some might say. Glorious, we would say. Because with those masses of middle-schoolers will come life as only middle-schoolers can live it. And in this place here, those masses of identity-formational stage of life middle-schoolers will (by the grace of God) encounter life as only Jesus can give it. It is quiet right now. Beautifully, soothingly, breathtakingly quiet – not because all is at rest, but rather because all are at work. A Sabbath kind of work. A worshipping kind of work. A restoring kind of work. The kind of work that is absolutely necessary in order for life on earth to meet life in Christ. It is quiet here – even in the octaball court. (Which is both miraculous and creepy.) But soon – (wonderfully, excitingly soon) the still silence will be beautifully shattered in a way that only happens at camp. Be still, my soul – in peace, in thanks, in adoration – and in preparation for the earth-shattering explosion that even now is barreling down the highway in this direction. We await in expectant joy! The miracle that is summer camp defies description on so many levels, even before summer camp has begun. In 24 hours, 300+ middle-schoolers will descend on a little plot of sacred space in the mitten known as Michigan. So in fact the miracle we await will be twofold as miraculous summer camp collides with miraculous middle-school and creates a breathtaking explosion of awesomeness. The excitement and anticipation and energy and total stupendousness of what’s to come is almost too overwhelming. But not quite – because there is work to do. The miracle that is summer camp, you see, does not happen on its own. Not even close. So today – 36 hours before campers arrive and the collision begins, and 8 hours before the full staff arrives – a small group of people started to work. Hard. Even though the work doesn’t officially start yet. Because that’s how things happen at camp. People step in. People step up. People step out, marching to the sacramental beat of an incarnated Savior who fully embodied and faithfully modeled humble service and grace and joy and love. Welcome to camp, Day 0. We look ahead. We anticipate We catch our breath in sweet expectation. And we work. Because without work – sweet, sacred, blessed work – the miracle that is summer camp cannot happen. For the past month, a printed camp schedule has told me when and where to be, all day, each and every day. That might sound dreadful. But in fact it was quite wonderful. There was no need to decide whether to do laundry on day 3 (yes) or day 5 (no). The schedule dictates. There was no need to wonder whether or not you really want to get sprayed off with a firetruck hose (yes) after playing in a mud pit (woot!) with 350 middle schoolers or 100 teen moms. The schedule dictates. There was no need to debate the pros (lots) and cons (none that matter) of a late night dance party that required trekking to a building on the far side of the lake. The schedule dictates. After being home for exactly 42 hours, I desperately miss the dictator. I want a cabin bell to send me to bed at night. I need a staff meeting to wake me up in the morning. Most of all, I want someone else to decide when and what I will eat three times each and every day. Last night I spent 75 minutes in the grocery store during which I was essentially paralyzed by all the choices and responsibility. I don’t want to plan and shop and cook for two. I want to eat my meals with thirty fellow work-staff friends. And I need a saner person than myself to set a weekly menu. I’ve done the camp thing enough times to know that when it ends, I will deeply miss both the sense of purpose and the close-knit community. But I’d forgotten how lost and aimless the first few days back home can be. Sure, it’s nice to be back in my own bed. But it would be even nicer if I could bring my own bed back to camp where I just spent a very sweet month indeed. So here’s to Michindoh. Here’s to Wyldlife. Here’s to Young Lives. Here’s to community living and common purpose. I quite miss them all because coming home, though lovely in its own way, doesn’t hold a candle to Going Home, which is what the last month was really all about.